This premium USB to Parallel 36 Pin Centronics Printer Cable Lead with IEEE 1284 Bridge is used to connect your PC or laptop to any parallel printer devices. 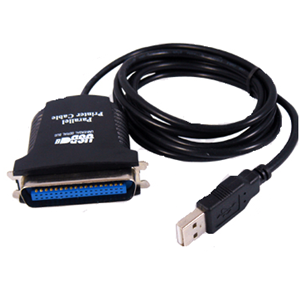 It provides up to 12Mbps data throughput, much faster than with the standard 25 pin female parallel port. It's very easy to use - just plug the 36 pin standard centronics connector to the parallel printer, the USB connector to the USB port in your PC or laptop.